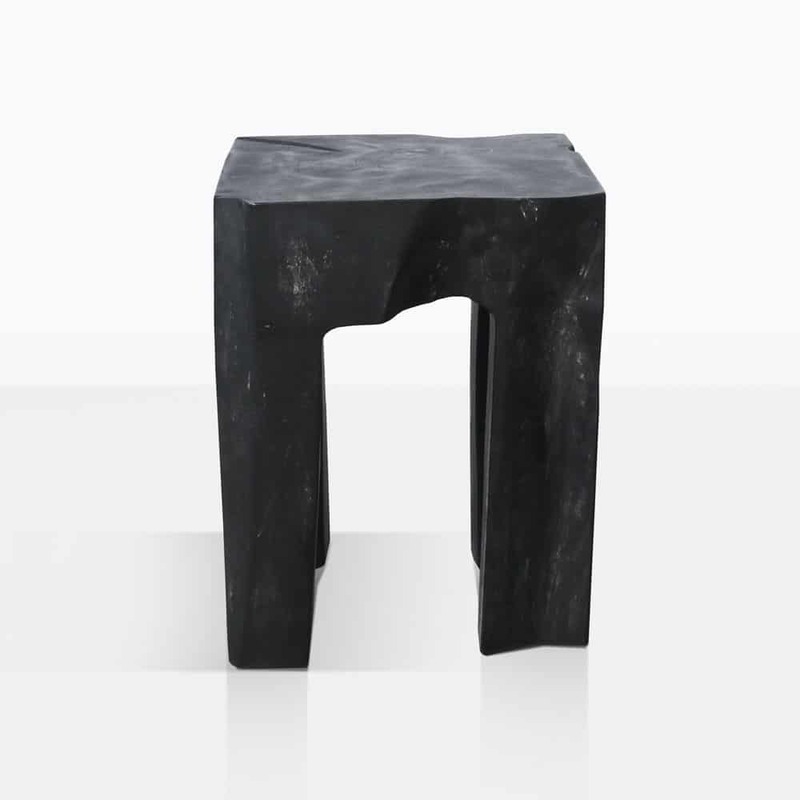 Do you find yourself drawn to and intrigued by this side table? That is because it is so unique and stunning! 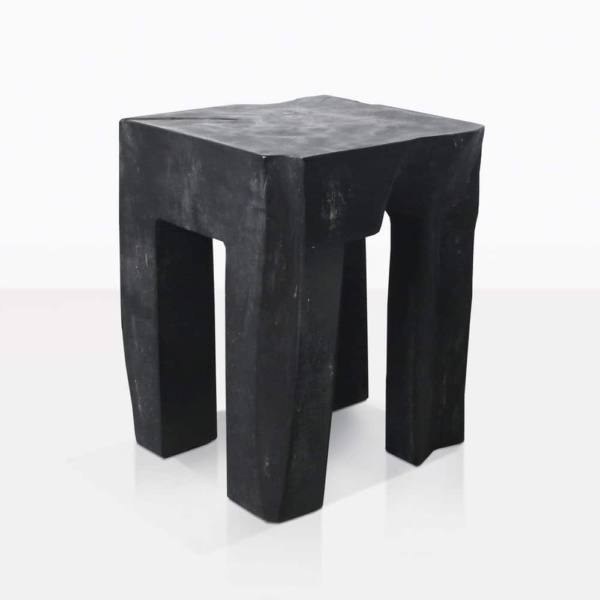 It was carved from a teak tree and has a striking black finish. It is small, but big in style! Each Banzi Table is slightly different because of its organic nature, and each little imperfection makes them absolutely stunning. The tabletop is smoothed flat and is an excellent spot to place your cold drink while you are lounging in a club chair or sun lounger. Get creative and place several in a cluster for more tabletop surface and for an interesting design element. These tables are absolutely eye-catching and are perfect for indoors as well as out. Please note that each Banzi Table is unique and each one will vary in size, shape and texture. Please call us if you have any questions about these special tables! Visit our showroom in Parnell today!